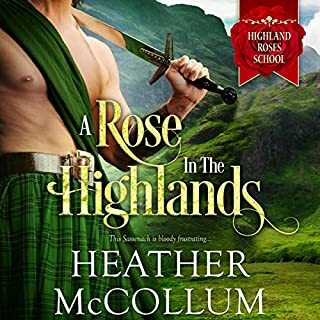 Can a rugged Highlander love a lass whose secrets threaten to ruin his one chance at redemption? And will a woman who has fallen in love with her captor be able to betray him if necessary? Brody, captain of the Sea Mirage, finds himself a victim of his mutinous crew. When he's thrown overboard, he swims to an island. His vengeance of wanting to kill Old Man Muck, the pirate responsible for the upheaval, is what keeps him alive. Gwendolen Fisher is the daughter of a fisherman, trying desperately to fill the shoes of her three brothers, who have abandoned the family business and disappeared. When she spies a man adrift at sea, she convinces her father and the crew to help him. Once aboard the ship, the man is recognized as a pirate. Known as a gossip and for never being able to keep a secret, Morag Douglas longs to change her reputation. She strives to do great things like her sister and cousins and desires to be a true member of the followers of the Secret Heart. Then an opportunity arises for her to be mentored in this secret group of strong women. 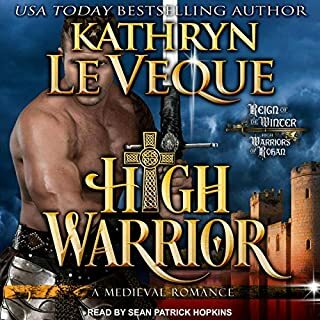 But when she meets up with the mysterious knight Sir Bedivere, her plans go astray. Sir Bedivere Hamilton arrives at Rothbury Castle harboring a dark secret. He is an assassin with one more job to do before his debt will be paid. 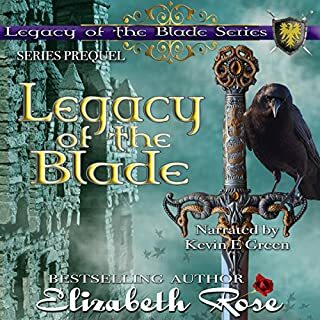 But when his last mission directly involves Morag, a woman who has taken his interest, he must make a choice that could change both their lives forever. Can a woman who has everything to prove help save a man from making the biggest mistake of his life? And will a man with a debt to pay commit treason to protect the woman he loves? 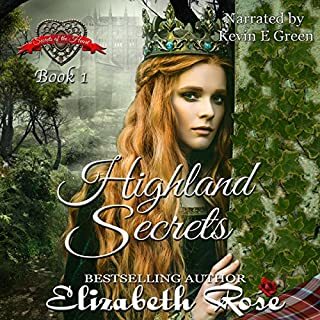 ©2018 Elizabeth Rose (P)2019 RoseScribe Media Inc.
Morag Douglas is determined to curb her gossip, discover her special skill (if she has one), and prove she is worthy of being included as a Follower of the Secret Heart. Sir Bedivere Hamilton wants to complete his last mission as an assassin and free his family, but all may not be as it seems in this mission. They are wary of each other at first, but they fall in love, and when they do, things get complicated. This is an action-packed story with unforgettable characters and filled with intrigue, danger, betrayal, twists, turns, surprises, family, friends (including a couple of ghostly sisters), and enemies. I enjoyed Morag’s story. Kevin E. Green’s narration brought the story to life. I especially like his portrayal of the many times grumpy Reed and Branton’s innocent screw-ups. 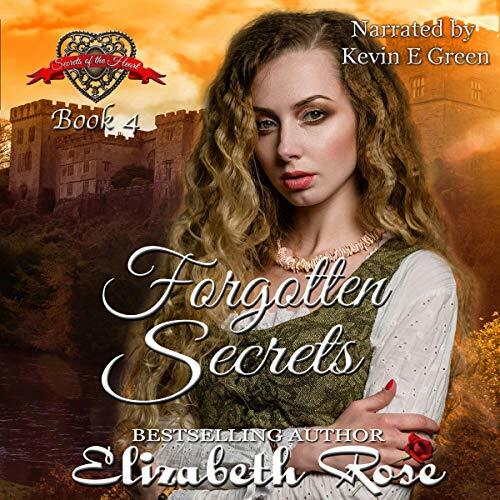 The Secrets of the Heart series is part of an awesome and engaging family saga that includes The Legendary Bastards of the Crown and Seasons of Fortitude. I highly recommend all three series. Morag was the hear all - tell all gossip. When she is taken back to her family, in Scotland, she doesn’t think she will ever get back to the secret garden. When the Earl that sponsored the 4 girls is killed in battle for the king, the king is going to require Lady Ernestine to choose the next earl to take over the castle and all their riches. Sir Bedivere is an assassin to kill traitors against King Richard. He accepted the assignments to free his family from the dungeon of Whitmore, the king’s assistant. Will Morag ever learn to keep gossip to herself or will it be the end of her? Kevin E Green is wonderful as the narrator for this series.